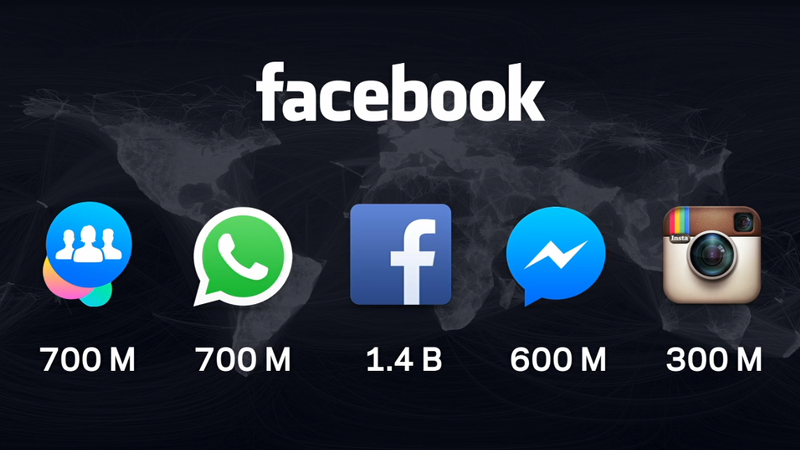 Facebook’s $22 billion acquisition of popular messaging app WhatsApp last year raised some eyebrows. Facebook already has a popular messaging app, the in-house Facebook Messenger, not to mention a popular photo-sharing app, Instagram. Why did it need to bring yet another app into the fold? Wouldn’t the three apps end up cannibalizing each other? But as WhatsApp, Messenger, and Instagram continue to grow, with monthly active user numbers swelling to 700 million, 600 million, and 300 million respectively, Facebook has proved that naysayers know nothing about what people want from the apps they use every day. Product chiefs of WhatsApp, Messenger, and Instagram took the stage at Facebook’s annual F8 developers conference in San Francisco on Thursday to dispel any myths about rivalry between the three apps—and hinted deeper cooperation (or integration) could one day come. Messaging apps are so ubiquitous, it seems like there are plenty of users to go around. Joining Facebook was an easy decision, and not just because Mark Zuckerberg dropped some billions on the table. 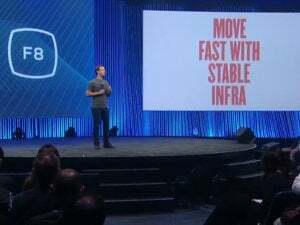 WhatsApp cofounder Brian Acton, Instagram cofounder Mike Krieger, and Facebook’s David Marcus, vice president of messaging, said the infrastructure and talent Facebook provides makes it possible to improve the apps without worrying about servers or hiring the best engineers. The hard stuff is handled. Acton said a key reason WhatsApp took Zuckerberg up on his offer was because of Instagram. 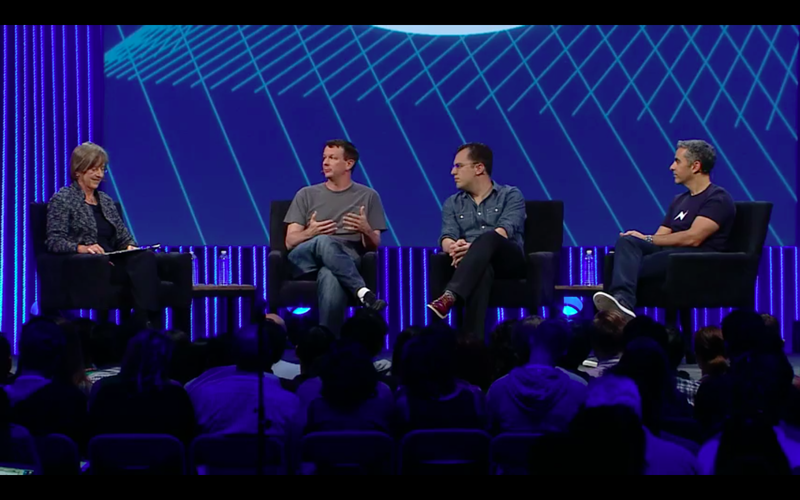 (Left to right) Moderator Mary Meeker, of Kleiner Perkins Caufield & Byers, with Brian Acton, cofounder of WhatsApp; Mike Krieger, cofounder and technical lead of Instagram; and David Marcus, VP of messaging at Facebook. 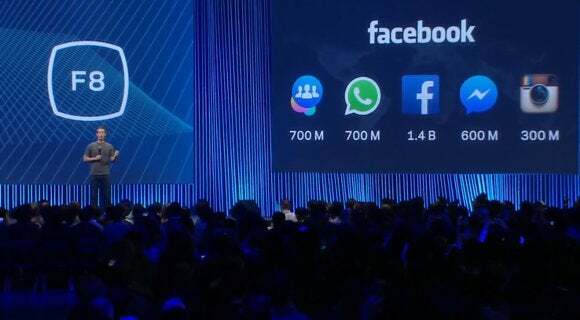 Now that WhatsApp is in the Facebook fold, the network has two messaging apps that Zuckerberg hopes will reach a billion users apiece. So WhatsApp isn’t concerned with Messenger’s forays into payments and platform. Is it possible that Instagram, Messenger, and WhatsApp will eventually become a communication monolith, a feature-loaded app that lets you message friends, make restaurant reservations, and pay your rent without ever leaving Facebook? Sure, but not any time soon. “When the time comes, we’ll do it in an intelligent and thoughtful fashion,” Acton said. The reason the three apps remain on their own instead of being incorporated as features in the main Facebook app is concern about bloat. Instagram launched a new app, Layout, instead of folding a photo collage tool into its main app to avoid overloading Instagram with extras. Facebook was often criticized for cramming too many features into the big blue app, and so it started spinning off new ideas (and a few old ones) into stand-alone apps. That quest for simplicity is what also drives Instagram, Krieger said. Messenger is now a platform, not just a stand-alone app. 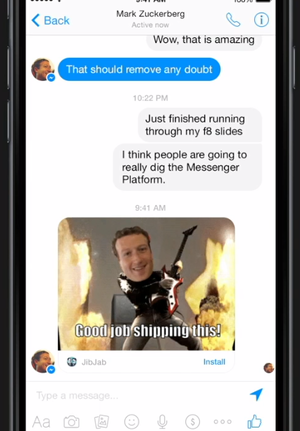 The same goes for Messenger, which opened its platform to third-party apps on Wednesday to give people options like GIFs and memes without adding a whole mess of features. And developers aren’t too happy about it, but WhatsApp’s mission to make its app stable for every mobile platform around the world is keeping the company from releasing an API. There was some groaning in the crowd, but Acton stood his ground.